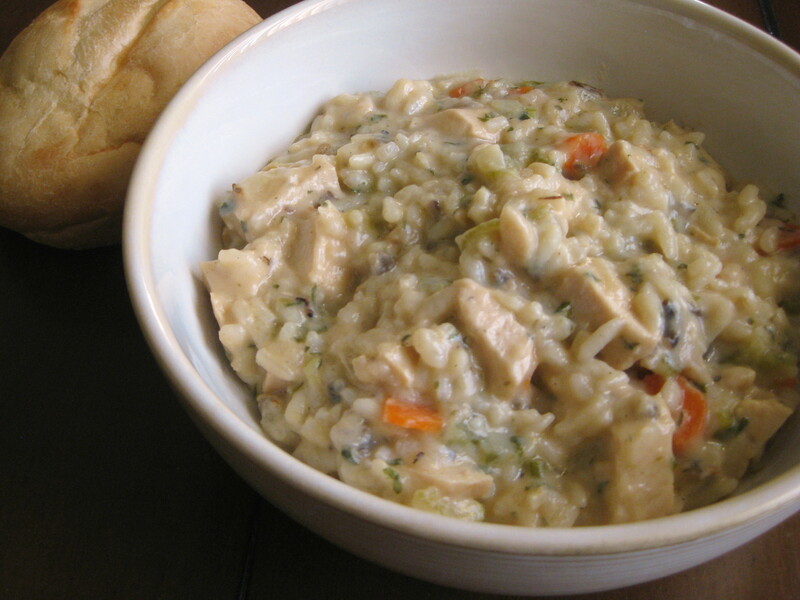 Wild rice is Minnesota’s state grain, and folks take chicken wild rice soup VERY seriously in these parts. While I truly adore Minnesota Chicken Wild Rice Soup™, thick and full of cream, this week I wanted to follow up my recent cheesploitation with something a little lighter. So I began with a recipe from Cooking Light, and made a couple of tiny tweaks. Next time I prepare this soup, I’ll make one more change: replace the long grain and wild rice mix with plain wild rice. The flavor of the soup was wonderful, but the texture was a bit too soft. I thought it could use a little bite from more wild rice. I used the seasoning packet that came with the rice mix, and it seemed to be about a tablespoon of seasoning. 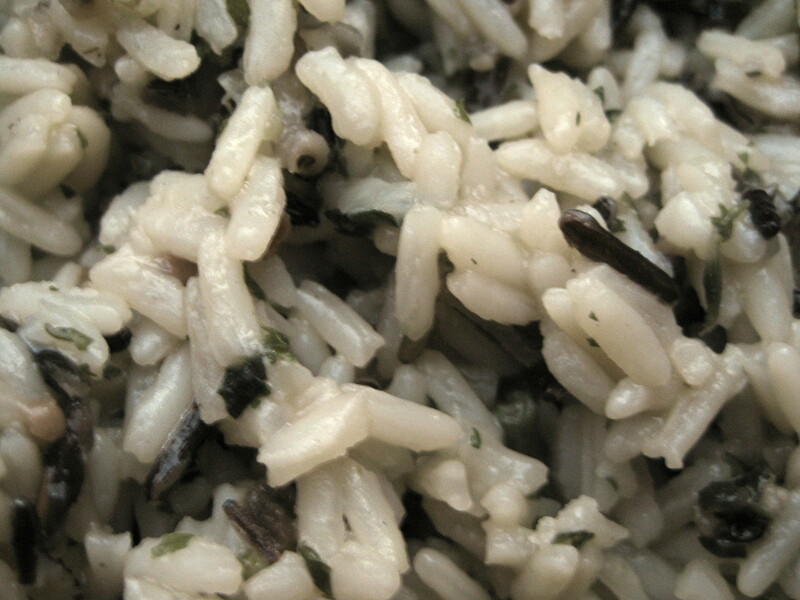 Next time I’ll use straight wild rice and add a combination of garlic salt, onion powder, and dried parsley instead. Preheat the oven to 350⁰. Place the chicken leg quarters on a baking sheet, skin side up, and rub them with vegetable oil. Sprinkle generously with kosher salt. Roast for 40-50 minutes, until the chicken is cooked through. Set aside to cool. 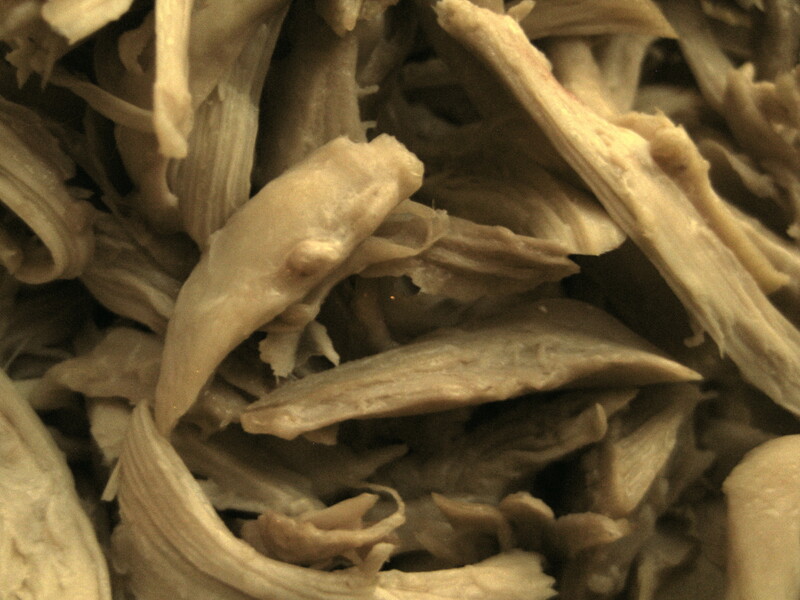 When the chicken is cool enough to touch, separate the meat from the skin and bones, wrap up the meat, and refrigerate until you’re ready to add it to the soup. Freeze the skin and bones for stock. Prepare the rice according to package directions; set aside. Heat the olive oil in a Dutch oven over medium-high heat. 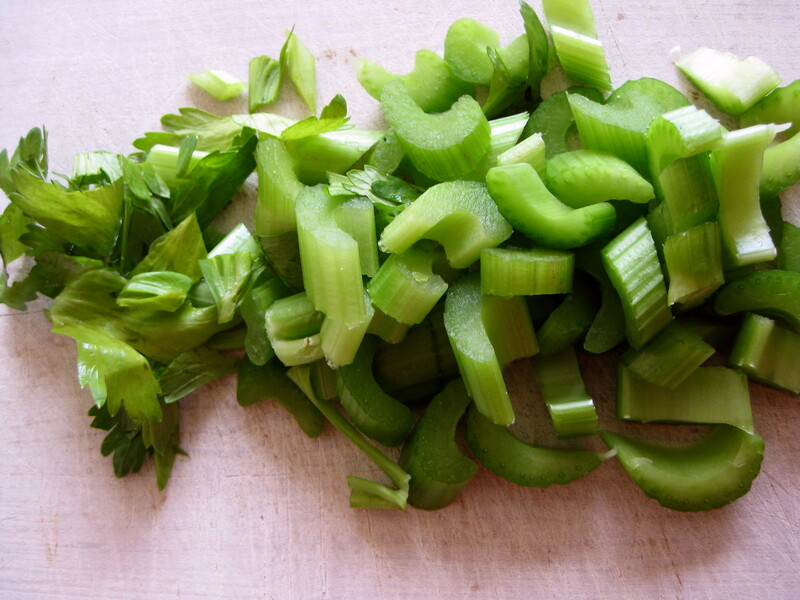 Add chopped onion, celery, carrot, garlic, and mushrooms, and sauté for 10 minutes or until onion is tender. Stir the flour, tarragon, and thyme into the onion mixture, and cook for 1 minute, stirring frequently. Add sherry, broth, and evaporated milk, and bring mixture to a boil. Reduce heat, and simmer for 20 minutes or until slightly thick. Stir in cooked rice and chicken; heat through for 10 minutes.